Pushed by financial hardship, and for Black folks, by white  supremacist violence in the country, thousands of these  landless people soon moved into rental housing in the city. They traded in their ties to the land for a steady paycheck working in tobacco and textiles. 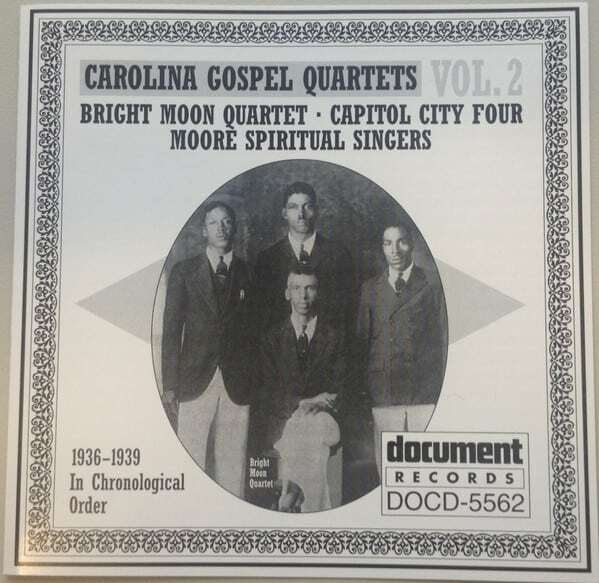 Chester Clark and John Patterson were members of the Bright Moon Quartet, a Durham-based gospel and blues singing group. The group formed after working together in the cutting room of the American Tobacco Company. They practiced on Cornell Street in the West End neighborhood, and played their first concert at Union Baptist Church on Roxboro Street. They traded in their ties to the land for a steady paycheck working in tobacco and textiles. Copyright © 2018 Bull City 150.